ONE. Tassel earrings. know I have professed my current love for all things tassels and it continues. 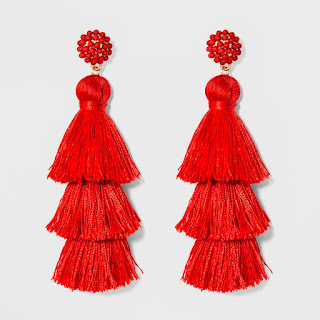 I grabbed these cute red earrings for some statements and the 4th of July. I meant to grab them in time for Memorial Day but I didn't get them in time. TWO. 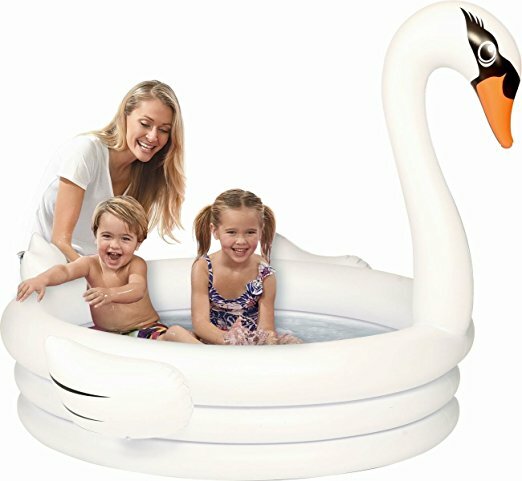 Swan kiddie pool are headed to the beach in about 3 weeks. I grabbed this to take down to the beach for the little ones:) This unicorn one and this flamingo one are super adorable too!! Any other must haves we need to take? I'm thinking I will also grab a cute baby tent too. THREE. 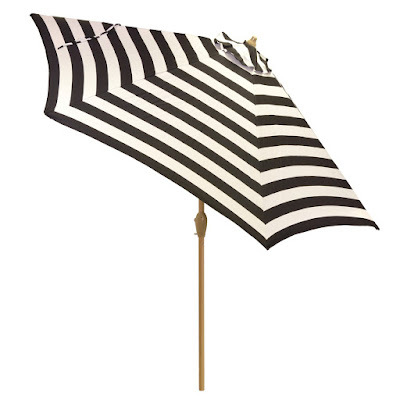 Striped umbrella. We are in desperate need of some shade by the pool. We are in it SO much that I search for shade. I think I need to get myself a mommy long sleeve rash guard as well. Operation don't look 100 next year from sun damage!! I always wear a hat and put 50 on my arms but I think I need even more protection! 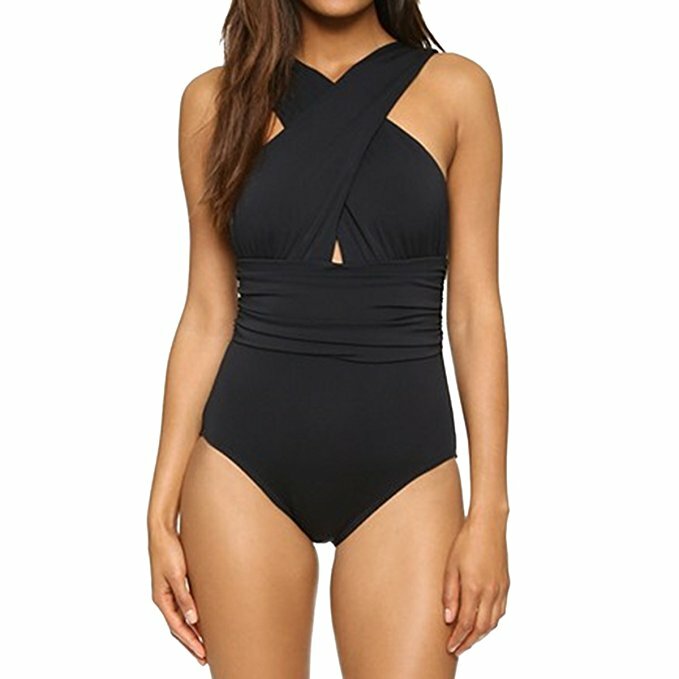 d this one piece bathing suit and I'm thinking I need it ASAP. Sometimes swimming with kiddos I need some extra coverage because kids hanging all over you and pulling things down all the time, ha! Trying to avoid #boobflash;) I got this cute bathing suit from Albion fit as well! FIVE. It's the weekend....and for once we have ZERO plans besides swim lessons. I know, I'm in shock too!! I see lots of swimming, relaxing and family time in our future.